"Route de Versailles, Rocquencourt", by Pissarro, oil reproduction. 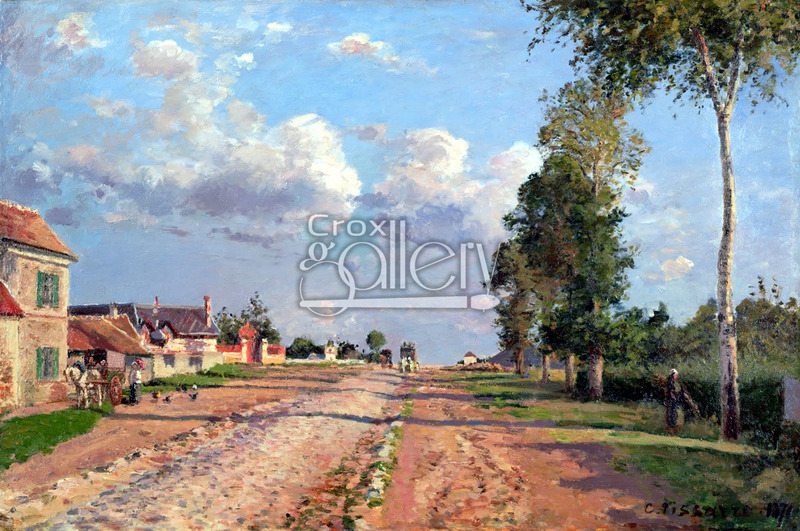 Painting entitled "Route de Versailles, Rocquencourt". Painted by Camille Pissarro in 1871. This master of impressionism is considered to be a genius at capturing light in nature. Pissarro knew how to capture the effects specific to each hour of the day and each stage of the year in any kind of landscape. In fact, he often painted the same landscape in different seasons of the year. In this case, the painting depicts a luminous summer afternoon (with long shadows and warm coloration). In the background and to the left-hand side there are two carriages, and to the right the viewer sees a peasant working. 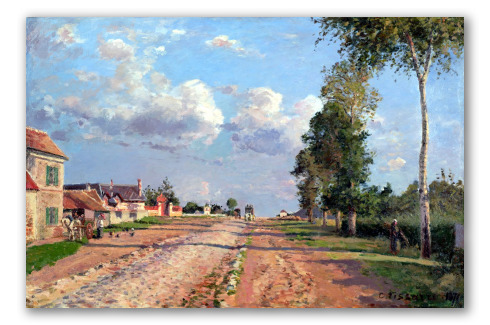 Pissarro emphasizes the contrast of the nearly-clear sky in the forefront with the large grey clouds in the vanishing point in this work.